Come and join our successful team! We are currently constructing a brand new, state of the art facility and are currently seeking 4-6 Sales professionals to add to our team immediately. Great central location in Southern Milford, right off the highway means lots of traffic! This could be a golden opportunity for hard-working salespeople to join our team in a brand new dealership and grow with the company! Our New building will be completed this summer and we need the right people to come and hit the ground running. For a confidential interview and immediate consideration, apply now. This is a golden opportunity for all talented service advisors! We are building a BRAND-NEW, state of the art dealership! We will have the latest and greatest, top of the line tools to set you up for success, and we are expecting 2018 to be one of the busiest years in the company’s history! Automotive, parts and/or Service Advisor/Writer background required. Automate and Chrysler dealership experience is a plus. Must have a valid driver’s license in good standing. A pre-employment drug screening and a background check is required. Golden opportunity for talented business development & call center reps!!! We are building a brand-new state of the art dealership with top of the line tools and sales leads! Write your own paychecks and grow with the company! You will also set appointments for customers with our Service Department. You must be a customer service oriented individual with strong organizational, computer, and phone skills. Business Development Center / Call Center experience is a PLUS but we will train the right candidate. You will be required to work some nights until 8PM and one weekend day. Schedule MUST be flexible. You MUST be driven and money-motivated. This is a golden opportunity for talented technicians! We are building a brand-new, state of the art dealership with top of the line equipment, a 5-star parts department, excellent service writers, and WE ARE BUSY!  Chrysler certification is a huge plus, as is transmission or diesel experience. Plenty of room for advancement in the field, we offer paid training to techs who are considering making the switch to a dealership environment where you have access to the latest tools, technology, and information. Flat rate + easily attainable bonuses for performance and spiff programs. If you think you have what it takes to be a part of our highly motivated team, submit your resume right away!